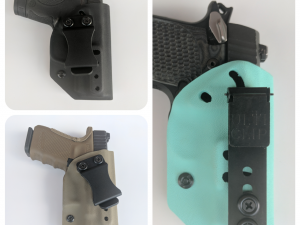 Do away with bulky hip holsters and simplify your carry options for the warm weather! 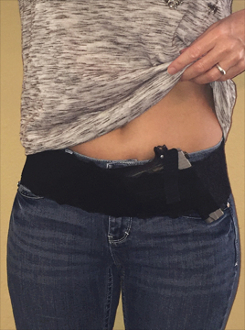 This holster can conceal under almost anything in your closet. It is very versatile when it comes to where to carry and how! You can carry ANYWHERE around your waistband. SKU: FF-Hipster. Tags: Belly Holster, hip, hip holster, Lace Holster. This Femme Fatale holster has beautiful embroidered lace with a 3″ wide flat, knitted elastic which fits comfortably on the hips. Wear inside or outside the waistband. 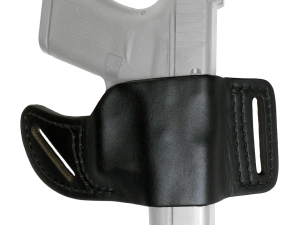 A 7″ wide pocket is designed with concealed carry guns in mind and can accommodate a variety of guns. 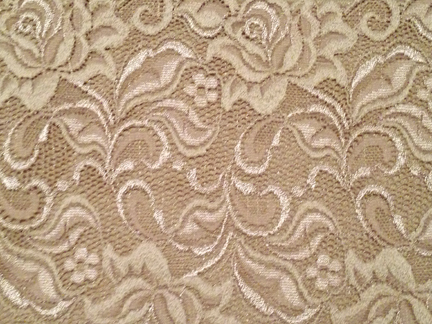 The pocket features a moisture barrier on the inside of the pocket (body side). The pocket also has a 2″ muzzle port on either bottom edge, allowing for ambidextrous draw and a variety of gun positions — flip the gun upside down to wear on the back flank or in the small of the back. The unique construction of the pocket lets you carry at an angle that is more comfortable. 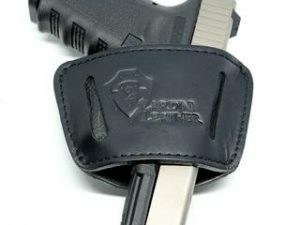 An elastic retention strap keeps the gun firmly in place. 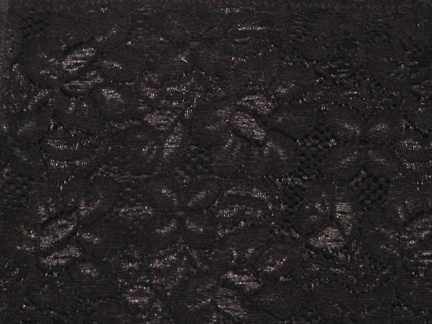 The back has lingerie hook and eye closures, with three rows of eyes for the perfect fit. To determine your Hipster Holster size, use a measuring tape to measure around your hips, approximately at the top of your waistband. Find the size that matches your measurement. Round down, if necessary. Note: Sizes 38 and above may want to choose a size smaller due to the elasticity of the holster and the degree of snugness you prefer.